6 Month Smiles Cost - Orthodontist Hampshire, Ringwood. Does treatment really take six months? On average, treatment takes six months. We will be able to give you a better idea of treatment time according to your individual case if you book for a free initial consultation. Am I suitable for Six Months Smile? 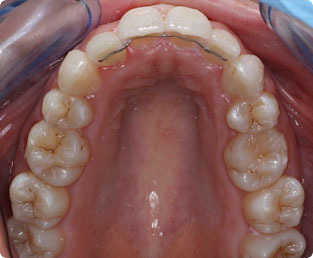 The primary goal of Six Months Smile is to align the teeth that are visible when you smile, rather than correction of bite or the teeth at the back. As with all treatments at Ringwood Dental we will discuss the best option for you at your free first consultation. Will I need to do anything afterwards? 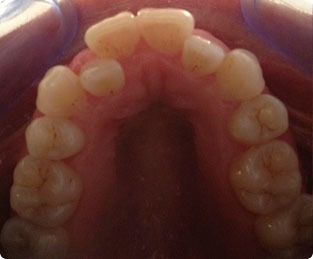 Like all orthodontic treatment, you will need to wear some form of post treatment retention. This could be a fixed retainer wire or a removable appliance worn at night, we can discuss this with you and all costs are included in the original price. Dr Dhatt was one of the first orthodontists in the Bournemouth, Southampton, Poole, Salisbury and Christchurch areas. Ringwood Dental is conveniently located closeby.